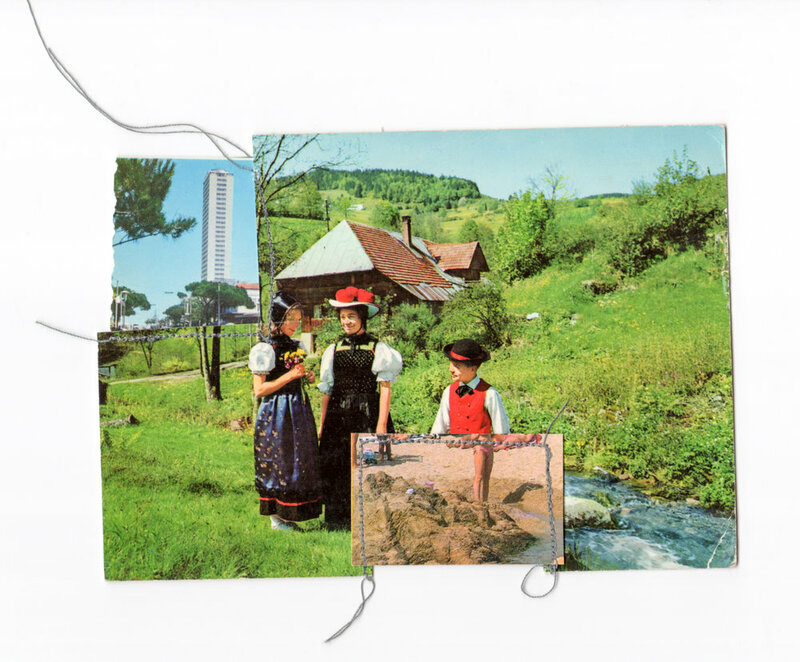 Ria Bauwens, a Belgium-based artist and trained photographer, has been involved with Mail art for over 20 years. Using collage techniques and scissors, glue, paper (both old and new), erasers, sanding paper, and the occasional sewing machine, she finds beauty in discarded old photos from someone’s past and gives them another meaning or form. 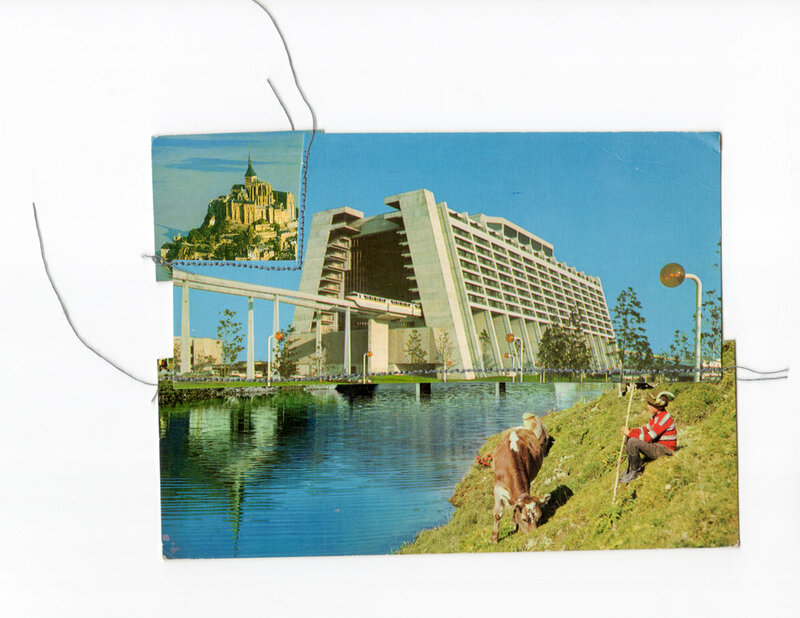 "I find it satisfying to create a new image out of two or more parts of cut-outs. Time stops while looking for a balance in color and form and makes a new readable image," she says. "It's a slow but impulsive process to puzzle all the different paper pieces together over and over again until they finally fall into place." In the end, new stories are created from several old ones.